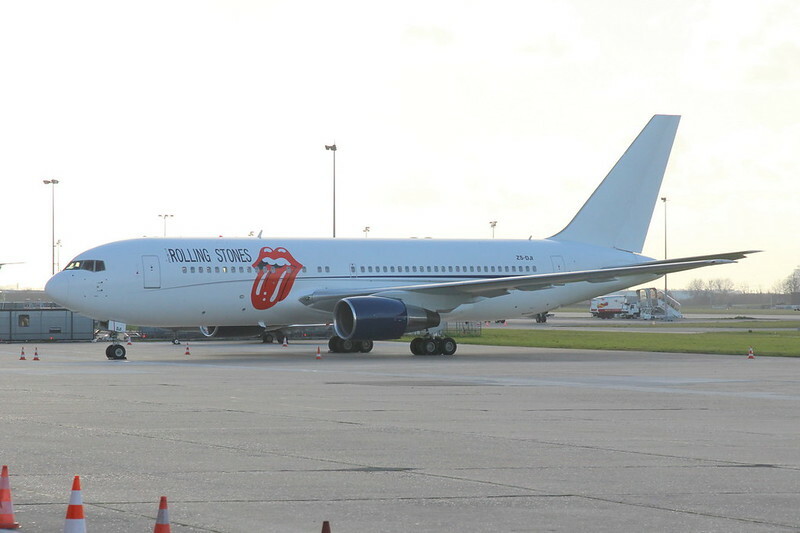 Photographed this morning from TG Aviation, air side at Manston and just about to depart, the Rolling Stones, chartered Boeing 767, on the way to the band's next big gig in Abu Dhabi, with a stop-over in Paris to collect the gear, groupies, girls, ginseng? Who knows at their combined and much celebrated age. One thing's for certain however, they won't be squeezed into economy class with a binary choice of chicken or beef on the menu. Edited 1 time(s). Last edit at 2014-02-18 02:36 by bv. Edited 1 time(s). Last edit at 2014-02-17 11:53 by Lien. Nice picture from the plane also on [www.airplane-pictures.net] . Rockman you must be fired up, they are coming your way I think.. 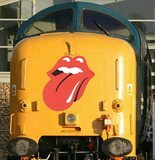 So cool to see that they are traveling again with the Stones tongue in place, even if it is facing the wrong direction. Maybe that mean's they'll travel east instead of west. HAH! Wonder if there will be any shenanigans going on like in the movie CS Blues? People certainly did not remain seated at all times on that plane. All set for CS Blues part 2....? Yeah, probably because arabic countries read from right to left, haha! Edited 1 time(s). Last edit at 2016-02-15 20:38 by colonial. Edited 1 time(s). Last edit at 2016-02-15 20:40 by colonial. They have better taste. BTW the BA cabin crew are the same average age as the Stones. Edited 1 time(s). Last edit at 2014-02-18 21:25 by Rockman. Ah, but also a head full of hair? Edited 1 time(s). Last edit at 2014-02-18 23:43 by rollingmike. Enjoy the tour all those lucky fans who are ready to attend the shows. 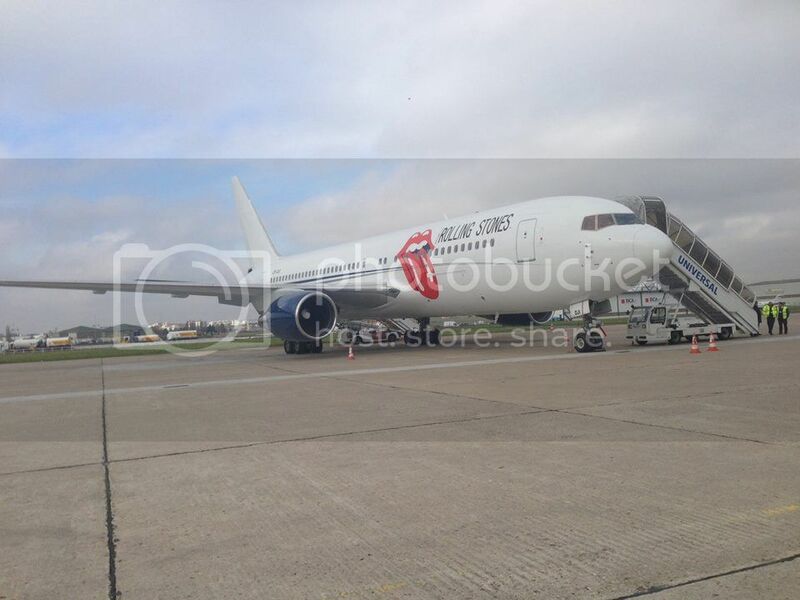 I think no many people could say, only some years ago: oh, my God, I´m gonna see The Stones in the Far East in 2014. Don´t mention it in... 1962. Yes! And ex-Cameroon Govt as well! Seen service with Silverjet, Lan Chile and Transbrazil.... Its been around... Maybe they should've put that ugly Gorilla Gregory on the tail At least it would've been good for something.